California Life Shows You How to Stay Connected to Your Home Like Never Before! From smartphones to tablets, our lives are more connected than ever before. Thanks to new technology, we can now gain even more control of our home and help simplify everyday tasks. One big money-saving change you can make to your home is upgrading your water heater. According to GE, water heaters are the second-highest energy users in U.S. homes. 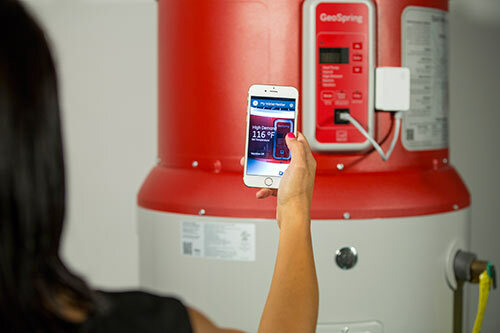 Tech expert Mario Armstrong says by switching to the GE 80-gallon Geospring Hybrid Electric Water Heater, you can reduce your energy use and save up to $500 a year. You could also be eligible for a rebate or other incentive. If you want to increase your home’s safety and security features, Armstrong recommends a the Remote Lynk monitor from Kidde and the customizable Guardzilla video security system. To see how all of these products work and Armstrong’s other high-tech home recommendations, check out our story below!